Create fog filled bubbles remotely via DMX! Fobbles is the latest in entertainment! This machine is fun and exciting for guests of all ages. Watch the machine magically fill bubble with enchanting fog. 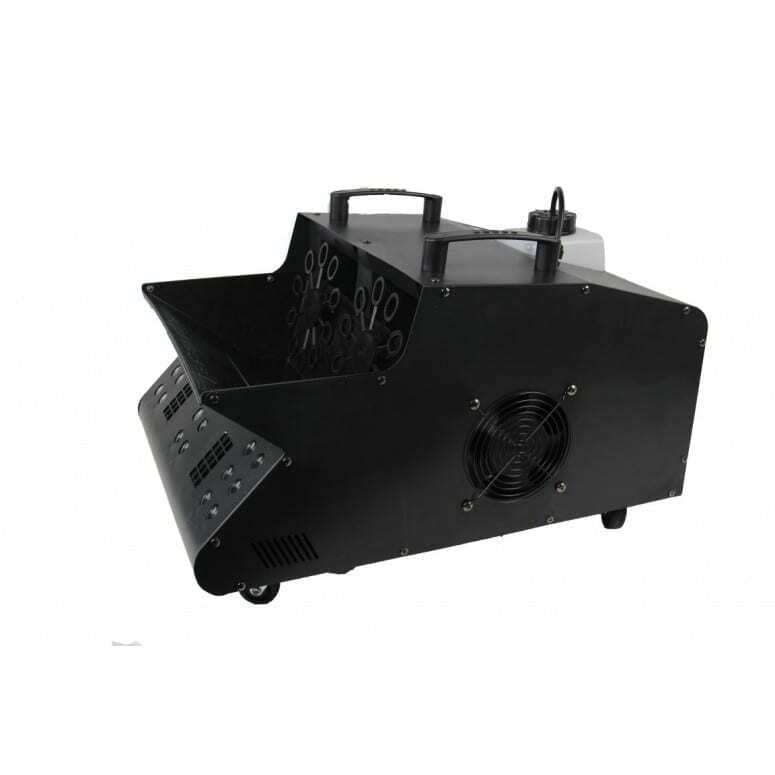 The 4 in 1 bubble fog machine allows independent component control. Need a regular fog or haze? We got you covered. Need oodles of regular bubbles? Check. Need sweet sweet fog-filled bubbles lit with LEDs?! Say no more. It’s ready. The Fobbles F4 Pro Fog LED has a digital backlit settings menu to easily configure the machine to your needs. Great for outdoor celebrations!